B0884. John R. Bennett. 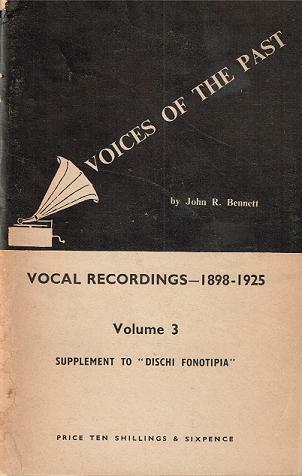 Voices of the Past, Vol.III - Dischi Fonotipia, incl. 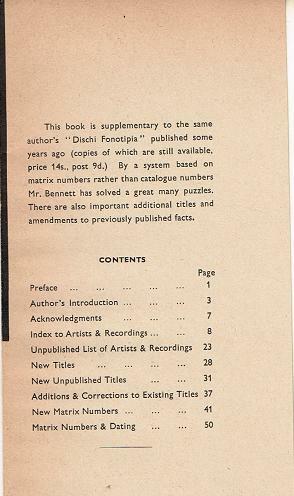 Supplement & Addenda (Two books in one, 1953 & 1958, resp.). Lingfield, England, Oakwood Press, 1957. 72pp. Index. Softbound, as issued.